Dorset-based wildlife artist Emma Bowring has loved wildlife for her whole life. She started to raise money for Born Free through the sale of her work, and has since raised over £2,600 for our conservation and animal rescue. In July 2018 Emma sold her portrait of King for £1850.00, which has helped fund his lifetime care at Shamwari. Hello Emma, thank you for supporting Born Free! Last year you kindly donated over £2,500 from the sale of some of your wonderful wildlife paintings - what made you want to support our work? The reason I like Born Free is because of the range of projects they support; everything from elephant conservation across Africa, to a small hedgehog rescue in Britain. I want to help all animals, and that’s why I like donating to Born Free, as I know that by donating to them; I am doing exactly that. Do you have a favourite Born Free project or animal? I suppose Born Free's rescue, care, rehab and release work; involving individual animals; like King the lion cub last year, saving them from a life in captivity. Seeing the difference that can be made to an individual animal’s life in this way, is always something you can connect to. Can you tell us a little bit about your wildlife art? 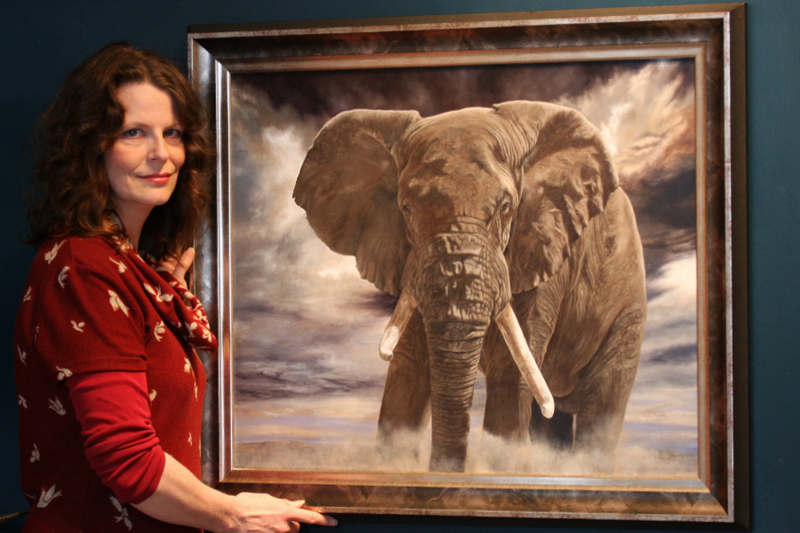 For me, the most important thing in a wildlife painting is that the animal has to have life, and I want every animal to be seen as an individual, to allow the viewer to get a sense of its character; a portrait of that animal. I think that’s another reason why the work that Born Free does appeals to me so much; alongside getting involved in big conservation projects – protecting a whole species; they also never forget the individual. Helping wildlife is what inspires me, I always wanted to do something to help animals, but life doesn’t always work out how you planned it. About eight years ago I found myself with a bit of time for a hobby, and, having loved art at school I began drawing, and with my love of nature, wildlife was the obvious choice. After donating a little tiger painting to a charity and raising £500 from the sale, I realised that perhaps I could still follow my dream of helping animals through my art. Do you plan to continue to support Born Free in the future? Definitely, I am hoping to produce a painting especially for the 35 year commomorations later this year, to raise funds. How can people find out more about you and see your work?